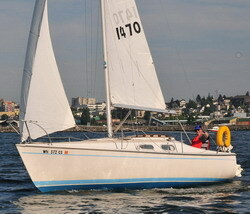 well folks I sold my c-22 and bought a bayfield 29. I just wanted to say thanks for all the help over the last few years! P.s this site friking rocks....the bayfield one is no way near this good. drop in once in a while once a Chrysler owner always and good luck with the Bayfield what size? Oh you just think your leaving us. Nooooo, you'll be back. Once a Chrysler Sailor, always a Chrysler Sailor. No, you don't have to own one to be one. Your one of us my friend. No seriously, check in on us, your always welcome here Sir. Bayfield 29 been busy putting a lot of up grades on it! Spoken like the true Chrysler Sailor you are. 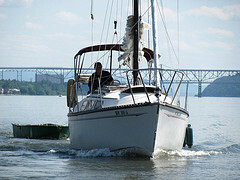 Okay so where are the photo's of the new boat and your latest sailing adventure? You know what I always say. PICTURES. Just cuze you don't have a Chrysler you think you can get way without pictures!? Not a chance. Come on don't be shy. Don't be shy and drop in once in a while! Good luck with the new ride! As Alan said, WHERE ARE THE PICTURES? ?